Categories: Bedroom Tax, Events . 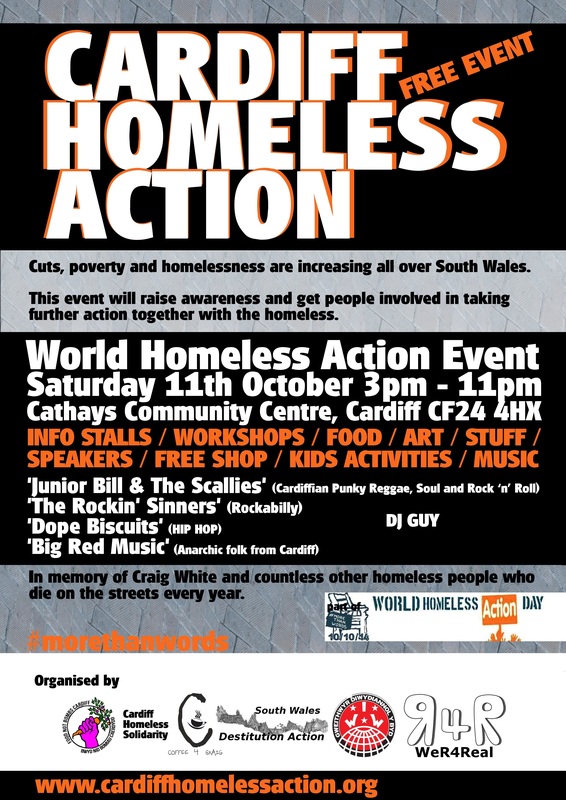 Tags:action not words, austerity, Bedroom Tax, Cardiff Homeless Action, Cardiff Homeless Solidarity, Cardiff Squatters Network, Cathays Community Centre, circus skills, Coffee4Craig, creative writing, cuts, destitution, event, food not bombs cardiff, free shop, homelessness, info talks, IWW Cymru, migrant destitution, music, olympics, poverty, skipping, solidarity, South Wales Destitution Action, squatters' rights, squatting, substance abuse, WeR4Real, workshops, world homeless day . Author: C.A.N. Newport Action Centre presents: The People’s Kitchen London Calling!